[S22] Victorian Government. BDM Index Victoria (online) "#D9050/1976 Place of birth Wangaratta." [S22] Victorian Government. BDM Index Victoria (online) "#B3014/1903." [S22] Victorian Government. BDM Index Victoria (online) "#B15743/1903 - birth registered as HUMPHRIES." [S22] Victorian Government. BDM Index Victoria (online) "#M2168/1936 - as HUMPHREYS & AITCHISON." [S80] Ancestry - Family Tree, Dianne Humphris. [S16] Newspaper - The Age 13 Dec 1993, p18. [S22] Victorian Government. BDM Index Victoria (online) "#B18086/1902." [S22] Victorian Government. BDM Index Victoria (online) "#M5635/1927." [S22] Victorian Government. BDM Index Victoria (online) "#D26358/1971 Place of birth Mortlake." [S22] Victorian Government. BDM Index Victoria (online) "#B20061/1904." [S22] Victorian Government. BDM Index Victoria (online) "#B18115/1900." [S22] Victorian Government. BDM Index Victoria (online) "#M12564/1925." [S22] Victorian Government. BDM Index Victoria (online) "#D452/1969 Place of birth Carlton." [S22] Victorian Government. BDM Index Victoria (online) "#D12564/1982 - Place of birth Melbourne." [S22] Victorian Government. BDM Index Victoria (online) "#B9436/1900." [S35] Probate Records, PROV (Public Records Office Victoria), VPRS 28/ P26 unit 62, item 1110297. 12 Jun 1939, CHENEY-KIMPTON. The Littlejohn Memorial Chapel, Scotch College, was the scene of the marriage on Saturday afternoon of Gloria Eleanor, only daughter of Mr Leslie J Kimpton of View street, Alphington and the late Mrs. Kimpton and Ronald Ide second son of Mr and Mrs Sydnev Albert Cheney of The Ridge, Canterbury. Golf Australia would like to extend its deepest sympathies to the family and friends of one of Australian golf's true pioneers, Miss Burtta Cheney MBE, who passed away on Saturday evening. A pioneer of women’s golf, 95-year-old Miss Cheney enjoyed a long and illustrious career as a player, administrator and the founder of junior girls’ golf in Victoria. In 1986 the Australian Girls' Interstate Teams Matches competitors began playing for the Burtta Cheney Cup - dedicated to Miss Cheney's decades of work in developing junior girls' golf. Team member and Captain of Huntingdale’s pennant team for over twenty years. 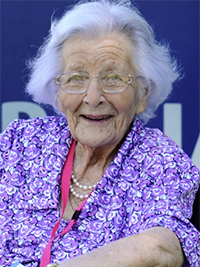 In 1937, Burtta became the Victorian Ladies Golf Union’s youngest delegate before being elected President and honoured as a life member of the organisation in 1983. Burtta’s enthusiasm for golf translated into the introduction of the Anglesea Girls Golf Camps which commenced in 1966 and are still conducted today over forty-five years later. Burtta Cheney’s biography “A Life in Golf” was released in 2010. Funeral details will be advised as they become available. Death-Notice* 12 Sep 2012 CHENEY. - Burtta. 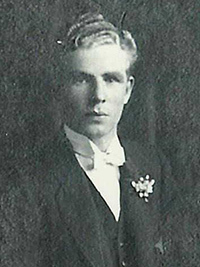 M. B. E. 10.10.1916 - 08.09.2012. Passed away peacefully at 'Arcare', Brighton on Saturday, September 8, 2012 at the age of 95 years. Daughter of Sydney Albert Cheney (dec.) and Marjorie Olive (Fidler) (dec.) Sister of Gwen (dec.), Keith (dec.) and Ron (dec.) Loved and loving Aunt of Pamela, David and Beverley, Stephen and Christine and Great Aunt of Stewart and Duncan, Jane and Peter, Dani and Juliette, Lisa and Ryan, Anthony and Melissa and their respective families. Now reunited with lifelong companion, Alison Searle (dec.) Very special friend of Kay Mahlook and Pauline Reynolds. An inspirational and generous Aunty, friend and mentor. Recognised and remembered for her championship play and lifelong dedication to amateur women's golf, especially junior promotion. Burtta will be forever in our hearts. The family extends grateful thanks to the wonderful staff and management at 'Arcare', Brighton. [S13] Newspaper - Herald Sun "12 Sep 2012 - viewed online Jun 2018." 10 Sep 2012 by Golf Australia. [S35] Probate Records, PROV (Public Records Office Victoria), VPRS 28/ P35 unit 418, item 1260332. [S22] Victorian Government. BDM Index Victoria (online) "#B12546/1908 - as Carol Margt." [S22] Victorian Government. BDM Index Victoria (online) "#M16239/1937." [S22] Victorian Government. BDM Index Victoria (online) "#D26785/1984 - place of birth Fitzroy." [S35] Probate Records, PROV (Public Records Office Victoria), Probate (Will) GRANT CAROLINE MARGARET MAISIE died 06/08/2005 Filed 09/12/2005 Application granted 15/12/2005 Application granted 1260332 28 / P 35 / 418 S PRB 2005 14585. [S13] Newspaper - Herald Sun "8 Aug 2005 - viewed online Jun 2018." VPRS 28/ P3 unit 1322, item 188/948. [S22] Victorian Government. BDM Index Victoria (online) "#D15052/1957 - Place of birth MELBOURNE." [S22] Victorian Government. BDM Index Victoria (online) "#D8157/1960 - Place of birth MELBOURNE." [S22] Victorian Government. BDM Index Victoria (online) "#D12197/1946 - Place of birth FITZROY." [S22] Victorian Government. BDM Index Victoria (online) "#D21405/1966 - Place of birth Melbourne."